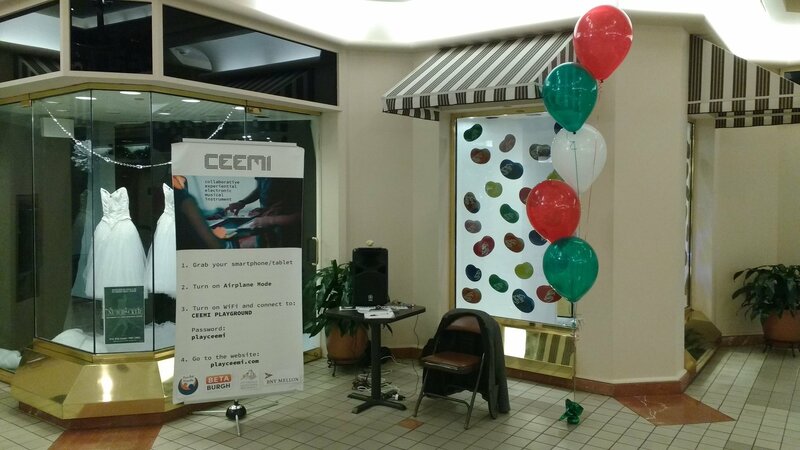 Today and next Saturday we’re at Fifth Avenue Place between 11:00am and 2:00pm, challenging passers-by to form a spontaneous smartphone band and play famous Xmas tunes using CEEMI. Next Saturday we’ll also be at Kidsplay Central (817 Liberty Ave.) between 3:00 and 5:00pm. A big thank you to the Pittsburgh Downtown Partnership for getting us on board this amazing program. More than 300 people have tried CEEMI between May and December in Betaburgh events and the feedback received couldn’t be more encouraging.